*FREE SHIPPING TO THE LOWER 48 STATES* Contact us for shipping quotes if your not located in the lower 48 Don’t let your RZR be a drag on rocky terrain or in those deep ruts! 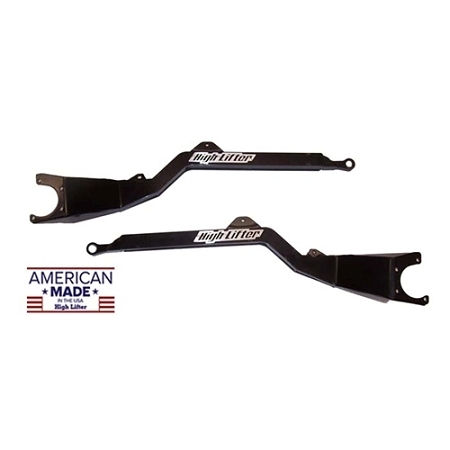 High Lifter’s Max Clearance Series Trailing Arms for the Polaris RZR XP 1000 gives you the highest clearance available without a lift so you can conquer any terrain with confidence. 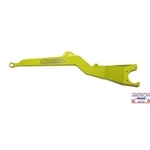 Our Max Clearance Trailing Arms keep the driveline angles the same as stock with no added wear and tear on other components. 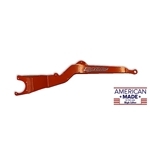 High Lifter’s research and development team engineered the Max Clearance Series Trailing Arms main bar to run parallel to the frame, greatly increasing the approach angle in front of the rear tires and giving you 4 ½” of added clearance – the MOST available from any after-market trailing arm kit. With the arched design, we’ve eliminated the descent of the bar in front of the rear tires, eliminating the drag and scraping that can be seen in some of the roughest and rockiest terrain. Now, when your RZR climbs out of those deep ruts or over large rocks or logs, your rear tires will easily roll over anything in their path. 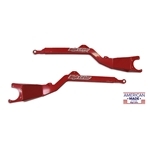 Crafted from 1 ½ x ¼” wall steel DOM tubing, the Max Clearance Series Trailing Arms are a super-tough upgrade giving your RZR XP 1000 an agile edge against rocks and ruts everywhere. 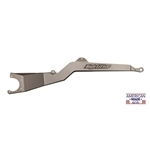 Best of all, the Max Clearance Series Trailing Arms work with High Lifter’s Signature Series lift kit or any lift kit that is bolted on to the top of the shock. Features: 4 ½” added ground clearances in front of the rear tires. Driveline/suspension angles stay the same as factory. Works with any lift kit bolted to top of shock. Easy bolt-on kit complete with photo instructions. 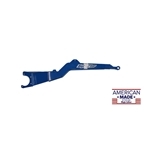 One kit replaces both trailing arms. Kits are subject to backorder or lead times Free Shipping to the Lower 48 States Free Shipping.